St Ives Harbour offers contemporary style and comfort, with boutique bedrooms, a beautiful spa and Terrace bar & restaurant, overlooking the waters edge. Perfectly positioned, with stunning views over Porthminster Beach, across to St Ives Bay and the rest of Cornwall's iconic coastline. Enjoy a serene afternoon at the Harbour Spa followed by a relaxed waterfront dinner, with fresh local flavours and panoramic views. 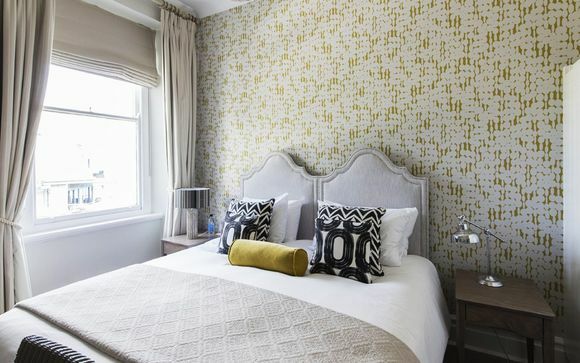 The Harbour Hotel & Spa is ideally situated to take in the charm and magnificence of St Ives. A few minutes' walk from the hotel you'll find yourself in the heart of St Ives' maze of winding cobbled streets. As darkness falls on a December evening, join the magical and mystical Lantern Parade as it lights the way from Barnoon, down past the Tate onto Fore Street and then along the Wharf. Looking for something special or handcrafted as a Christmas present – or a treat for yourself? Then make sure you stop off at the Arts & Crafts Fair at St Ives Arts Centre. You’ll not only be buying beautiful and unusual gifts, you’ll be able to say that they were truly made in Cornwall by local artists. If you’re coming from the Station, you’re passing it on Westcotts Quay on the way into town so make it your first port of call! Welcome in Christmas with a selection of seasonal music presented by a choir from Truro Amateur Operatic and Dramatic Society and guests. Including festive favourites from Rutter and Merritt and a host of congregational carols. 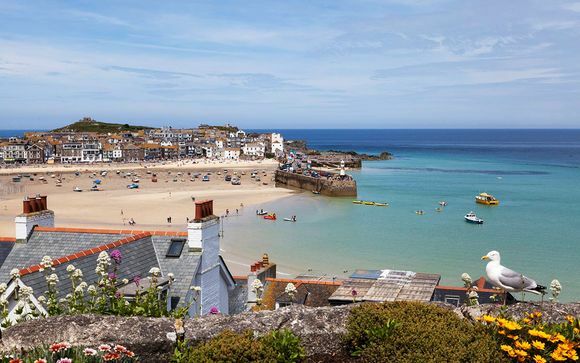 Explore St Ives and sample some of its delicious local food and delicacies at the same time! Take part in the popular Food Trail and you could also be the winner of a 2-course meal for 2 at the popular Rum & Crab Shack on the Wharf or a magnum of champagne, kindly donated by Burdett Wines. Head for the Cornish Deli on Chapel Street from 12pm onwards to start the Food Trail. Collect a list of the participating venues and then wend your way around town – tasting an amazing array of food and collecting the numbers to be found at each venue. Simply add these all up and head for the Castle Inn on Fore Street to enter your total into the prize draw. In a breathtaking location the 46 bedroom St Ives Harbour Hotel enjoys stunning views across the Porthminster Bay. Guests of the hotel enjoy a magnificent setting, exceptional service, exquisite food and total relaxation, all the essential ingredients for a perfect stay. Individually decorated in natural colours, the rooms at the Porthminster Harbour Hotel each have a private bathroom and tea/coffee facilities. All rooms have a TV and radio, and many have wonderful balcony views of the sea. The Harbour Restaurant serves a seasonal à la carte and table d’hote menus, using fresh local produce. You can try the speciality Fruits de Mer dish, with shellfish caught just 15 minutes’ walk away. This offer is based on a complimentary upgrade to a Classic Sea View Room. This offer is based on a bed and breakfast stay. Just for you: Our members will receive a £25 voucher to spend on dinner per day (per person). Focusing on fresh, local produce, The Terrace Bar & Restaurant serves a delicious selection of dishes which are prepared to the highest standard. The restaurant is popular with locals and visitors thanks to its lovely cuisine and the stunning views of Porthminster Bay. The Terrace Bar & Restaurant is open for lunch every day between 12noon and 2pm. Enjoy spectacular fresh and seasonal food, using local Cornish ingredients chosen for their quality and flavour. Afternoon Tea at the St Ives Harbour Hotel is a real treat, relax in the lounge or Bar and experience the spectacular view. St. Ives Harbour Hotel's Spa is a place where, the minute you walk in, you enter a world of pampering, luxurious treatments and tranquillity. Using the world-renowned, ESPA products and treatments, the experienced and welcoming therapists will offer a holistic approach to each guest, and some treatments are unique to St Ives Harbour Hotel Spa. 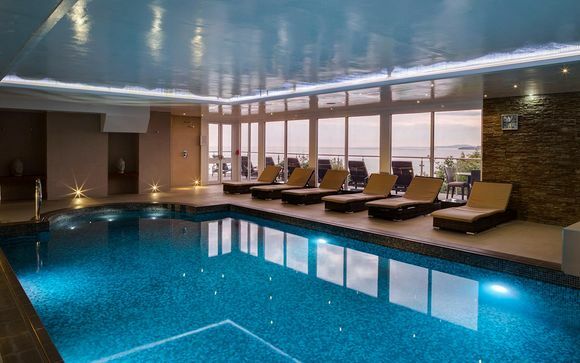 The Spa features an indoor pool and swimming Jet, areas for relaxation, a hydrotherapy pool, sauna, crystal steam room, state-of-the-art fitness suite, four treatment rooms and a rest and refresh area. Slippers, robes and towels will be provided as well as complimentary herbal teas and water for rehydration and relaxation. The Spa has been purposefully designed to nurture and nourish both body and soul, offering the finest range of holistic products and treatments. Staffed by highly qualified and professional therapists, a session at the spa can help you forget the pressures of the outside world and return you to a state of inner calm and outer beauty. Whether it is a quick escape, an afternoon of bliss or a full day of pampering, the spa is the perfect place to relax, unwind and indulge in total comfort. Treatments must be booked prior to arrival directly with spa, to avoid any disappointment with treatment times. The main A30 runs from Exeter to Penzance. At Lelant just west of Hayle take the A3074 to St Ives. Immediately after Carbis Bay watch for the Tregenna Castle signs on the left hand side, go past this until you reach a fork in the road. The main entrance to the hotel will be clearly seen on your right. Continue past the hotel for 20 metres until you see the underground car park on the left, pull in on the left just before the entrance and a hotel porter will assist you. The nearest station is St Ives. There are frequent regular connecting services to St Erth station (on the London to Penzance mainline) and from there a frequent local service runs along the three mile scenic branchline to St Ives. The train station is directly below the hotel, a short walk up the gardens to the hotel.